[Update: April 28, 2018] City official of Espoo responded – Espoo not official Friendship City with Osan. We are grateful for his response and for sharing that our campaign had raised awareness of the dog and cat meat industry for him and his colleagues. 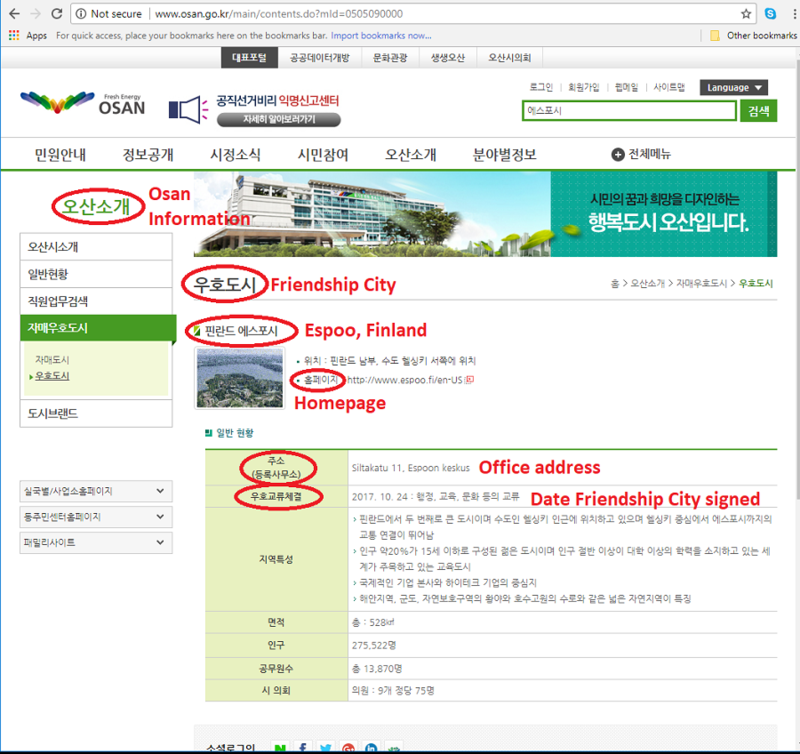 Our campaign was based on the information posted on Osan’s official website. Click HERE for Osan’s website page. We thanked the Espoo city official and respectfully asked him to communicate our message to Osan counterparts to help in our fight to end the dog and cat meat cruelty in Korea. We are also thankful to all of our supporters who have taken action to contact Espoo and Osan. Mayor Jukka Mäkelä of Espoo, Finland: Tell Friendship City, Osan, South Korea, That We’re Opposed to the Torture and Consumption of Dogs and Cats. Osan became Friendship city with Espoo in 2017. In Osan, there are countless dog farms, slaughterhouses, markets and restaurants where the dogs, who are tortured their entire lives, end up being slaughtered in the most inhumane ways, such as by electrocution, hanging or beating; and then thrown into boiling water – sometimes while they are still alive. In many places, dogs are being killed in full view of other terrified, caged dogs; and this takes place in public and in broad daylight. In addition, many abandoned and stolen former pets end up in this industry, and are subjected to the same cruelty. A Search Engine reveals the sickening scale of Osan’s dog meat demand. 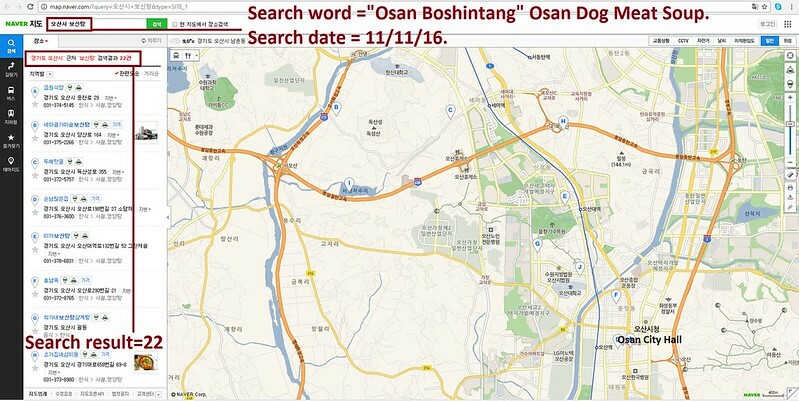 The searches resulted in: 44 Health Food Centers in and around Osan; and 22 restaurants in and around Osan. 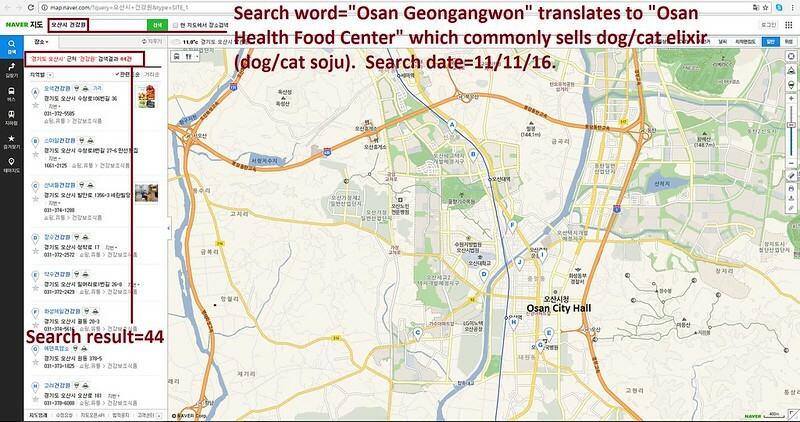 Even if half of these ‘Health’ Food Shops and restaurants serve dog and cat ‘ingredients’ in one form or another, just imagine how many dog/cat slaughterhouses must be present in and around Osan in order to supply all of these outlets. Please sign petition, call, write and email the Espoo Mayor TODAY! Send Email: Email addresses removed. Hyvä kaupunginjohtaja Mäkelä sekä kaupunginvaltuusto. laittoman koirien ja kissojen kiduttamisen ja syömisen? Tämä kaupunki on Etelä Korean Osan. häntä lopettamaan näiden laittomien teurastamoiden ja koiranliha ravintoloiden toiminnan. Hello, I’m calling to speak to someone in the Mayor’s Office to ask for their help on an important issue regarding your Friendship city, Osan in South Korea. So, I am asking you to please speak with your counterparts in Osan to urge them to enforce their own laws, not ignore them, and to show compassion to their companion animals, and also respect to their own citizens, by bringing these trades to an end. No matter where you live PLEASE SHARE these actions with your friends – especially those who live in Espoo! unbelievable incredible how awful it is !!! how awful and horrendous are the people who allow this !!! who tolerate this !!! are we in the 21st century ? are we living in the modern world ? I wonder …. Disgusting, Wrong and inhumane. My heart is broken. Stop this now, stop kill and eat Gods Creations. Dogs and cats have feelings, just like humans. We must respect and love dogs, cats and all animals. Not eat! Please, stop this.